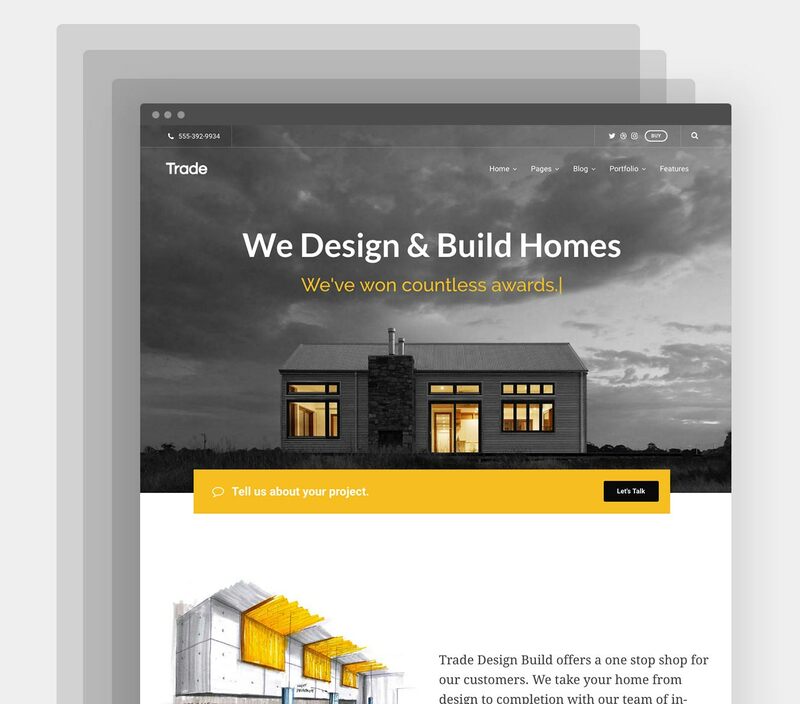 Trade is a multi-niche business theme that is built around Page Builder from SiteOrigin. It comes with plenty of pre-built layouts to help you quickly build your site. Slider Revolution is also include for free, a $25 value! Comes with one year of support and updates that renews yearly at the purchase price. Cancel at any time and continue to use the theme for as long as you like. Comes with the amazing Slider Revolution plugin, an $25 value. Use the intuitive interface to create stunning and engaging slideshows. Built around the amazing open source Page Builder from Site Origin. Drag and drop your way to layout perfection. Trade comes with stunning pre-built designs that are ready to import - all images included. Home pages, about pages, and more. Full compatibility with the awesome WPForms plugin is baked right in. Set a number of options on individual pages, posts, and projects. 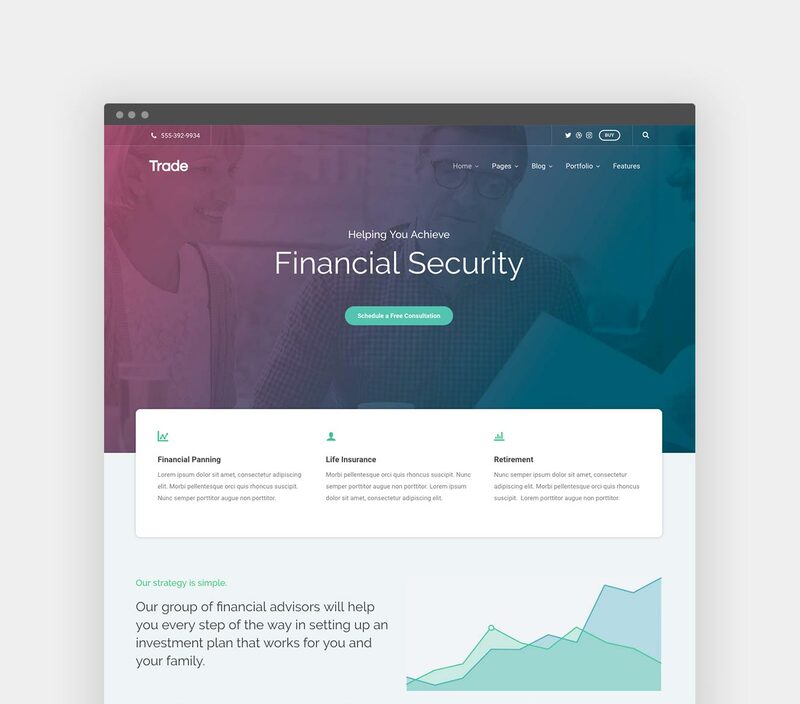 Start building your website with Trade.